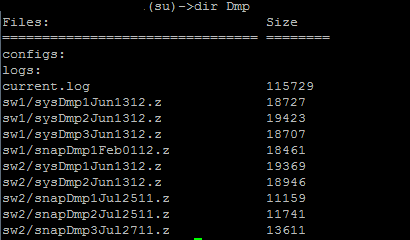 List dump files,which are normally not visible by typing “dir” command. Pack all dump files in one file and send them to tftp server. File can be unpack,e.g. by 7zip program and can be edited by any text editor.